Medical and recreational marijuana is big news in all states. From the legalization of cannabis oil for terminally ill patients in Georgia, to legalized recreational marijuana in Colorado, the topics and talk are endless. While states and consumers are embracing this legalization, you need to remember that any type of marijuana containing THC, or Tetrahydrocannabinol is still federally illegal. The potent, and thus illegal, chemical compound is long been proven effective for managing pain in patients who have terminal conditions, ranging from cancer to AIDS. Luckily, the state of California has recognized this, and they have pushed forward two bills that help regulate the industry. This bill creates a framework for governing the medical cannabis industry, from establishing tax structures and quality controls to licensing dispensaries and cultivation sites. A Bureau of Medical Marijuana Regulation established within the existing Department of Consumer Affairs would oversee the industry. It sounds like a great plan, and a plan that should be able to help the businesses more successful. 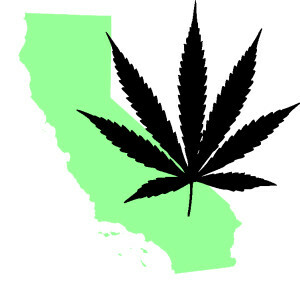 The second bill, AB 266, would spread the responsibility for licensing different aspects of medical marijuana across several state agencies, including the Board of Equalization and the departments of Public Health and Food and Agriculture. Local governments would oversee growing and selling marijuana. This works as well, and many love the “local’ aspect to this bill. Not all areas are the same, both economically and socially, so this more localized option may fare better. One of this bills will pass, as the state needs better control of their legalized marijuana market. That being said all legalized marijuana merchants need to have control of their companies. This starts with a good business plan and following local regulations. This also starts with how you operate your business. Few start out with the funds needed to fully provide for all of its business needs, so a good marijuana business funding source is needed. It can be hard to locate one that is equipped to deal with this industry, so be sure to fully research all of your options before making a quick decision. Every marijuana business funding source is different, and most have varying terms. By researching your options, you are bettering your chances of having a successful business. This entry was posted in California Marijuana and tagged AB 266, California Marijauna Bill, legalized recreational marijuana, Marijuana Business Funding, medical cannabis industry by admin. Bookmark the permalink.